This is the Sweepstakes Central for all HGTV Sweepstakes, Giveaways, and Contests in 2018. Now through July 17th at 5pm ET, vote for your favorite spaces, then enter for a chance to win $10,000. Details: Open to legal residents of the 50 United States and D.C., age 21 or older. Void where prohibited. Sweepstakes ends at 5:00 p.m. ET on July 17, 2018. Odds of winning depend on number of entries received. For full official rules, visit www.HGTV.com. Now through July 13th at 5pm ET you can enter three times per day, on HGTV.com, FoodNetwork.com, and TravelChannel.com, for your chance to win one of three Texas vacation packages, valued at over $5,000! Details: Open to legal residents of the contiguous 48 United States and D.C., excluding Texas, age 21 or older. Void in Alaska, Hawaii, Texas and where prohibited. Sweepstakes ends at 5:00 p.m. ET on July 13, 2018. For full official rules, visit www.HGTV.com. Now through June 22nd at 5pm ET, enter daily for your chance to win $40,000 cash and a video consultation with Jonathan Scott! Details: Open to legal residents of the 50 United States and D.C., age 21 or older. Void where prohibited. Odds of winning depend on number of entries received. Sweepstakes ends at 5:00 p.m. ET on June 22, 2018. For full official rules, visit www.HGTV.com. Enter twice daily for your chance to win HGTV Smart Home 2018, a gorgeous Lowcountry home in Palmetto Bluff, plus a $100K cash prize provided by national mortgage lender Quicken Loans. Details: Open to legal residents of the U.S., age 21 or older. Void where prohibited. Sweepstakes ends at 5 p.m. ET on 6/7/18. Odds of winning depend on number of entries received. For full official rules, visit www.HGTV.com. Now through June 4th at 5pm ET, enter once daily for your chance to win a $2,500 Wayfair Gift Card. Plus, one lucky entrant will be chosen each week to win a $250 Wayfair Gift Card. Details: Open to legal residents of the 50 United States and D.C., age 21 or older. Void where prohibited. Odds of winning depend on number of entries received. Sweepstakes ends at 5:00 p.m. on June 4, 2018. For full official rules, prize disclosures, and to enter, visit www.hgtv.com/loveyourhomesweepstakes. Tune in to HGTV and watch the HGTV Dream Home 2018 special. Take note of this code word and you could win $20,000 cash. HGTV Dream Away with $20K Sweepstakes Winner: Check back soon. Details: Open to legal residents of the 50 United States and D.C., age 21 or older. Void where prohibited. Sweepstakes ends at 11:59 p.m. ET on January 4, 2018. Odds of winning depend on number of entries received. For full official rules, prize disclosures, and to enter, visit www.hgtv.com/dream. HGTV offers viewers a large variety of sweepstakes, giveaways and contests all year long. 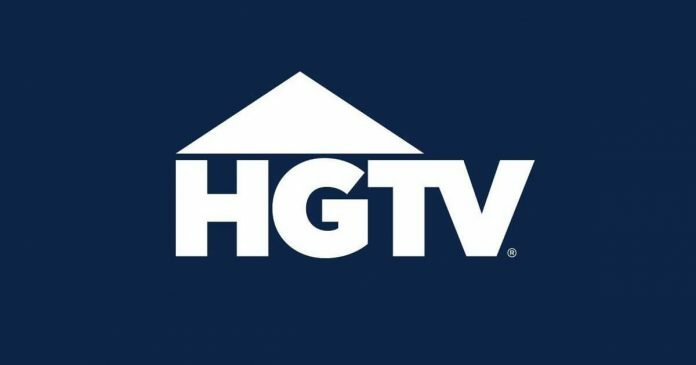 Popular HGTV Sweepstakes include the Dream Home Giveaway, Urban Oasis Sweepstakes, Smart Home Giveaway and 25 Grand Sweepstakes.. For more Sweepstakes, check out the HGTV Sweepstakes Central. Enter Twice Per Day: Get two Sweepstakes Entries per day on most of Sweepstakes. Be sure to enter on each website whenever it’s possible. Enter As Often As You Wish: Entrants using US mail may enter as often as they wish. Limit one entry per stamped envelope. HGTV Sweepstakes are open only to legal residents of the U.S. and its territories, possessions and commonwealths who are 21 years of age or older. HGTV Giveaways run on Eastern Time. You may obtain the name of the Grand Prize Winners by going to the HGTV Website at http://www.hgtv.com/sweepstakes.